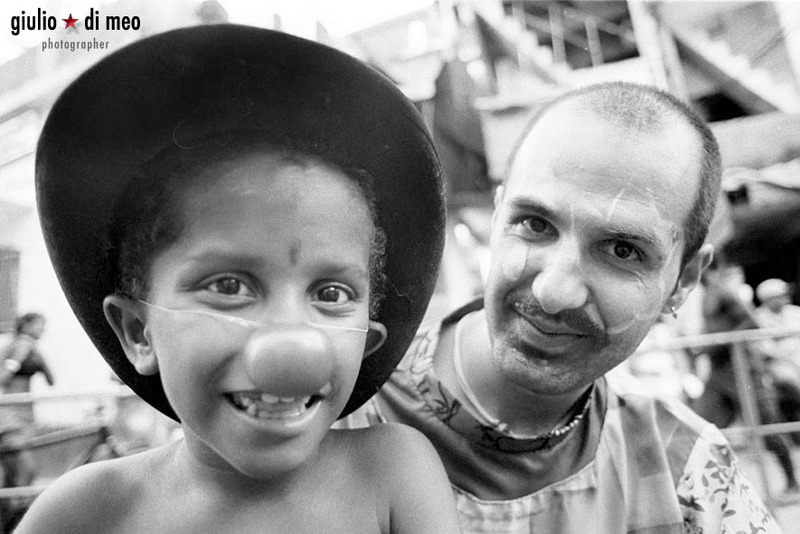 ‘Il Sorriso dei miei Bimbi’ is a project set up in 2002 by Barbara Olivi, an Italian living in Brazil, who began working with various education programmes for children and young people in 1998. The principal objective of the NGO is to create better socio-educational conditions in the heart of the Rocinha community in Rio de Janeiro. ‘Garagem das Letras’, the first literary café in Rocinha with internet, a kitchen, music events and cultural programmes for the whole community. Il Sorriso dei miei Bimbi is more than happy to receive help from anyone who is willing to offer commitment and effort in whatever way possible, be that skills, qualifications or enthusiasm, as long as they are in accordance with the humanitarian objectives that characterise our organisation. On our website, it is possible to see which areas you would be suited to; from maintenance and construction work to educational activities; from administrative tasks to economic analyses, from translation (Italian, Portuguese and English) to fundraising. Education projects for children and young people, compatible with the school calendar. We are a small NGO and we are not in the position to offer housing to the volunteers (but we are getting there!). We can offer suggestions of places to stay within the favela in the nearby neighbourhoods of Ipanema and Copacabana, with respective costs depending on the date and availability. If you think your profile matches our work requirements, you will have to send your CV to barbara.pascali@ilsorrisodeimieibimbi.org and we will organise a skype interview (ba.pascali). Getting to Rocinha can be a bit difficult. Knowing how to get around in this huge favela can take a little while; until you learn to recognise looks, gestures and general mannerisms, dealing with this environment is not the easiest task. The colours, smells and loud music of the main streets can drive you crazy, not to mention the incessant traffic and people everywhere. Our advice is to arrive the day before starting work in order to get used to the rhythm of the community. If you arrive at the airport ‘Santos Dummont’, the instructions to get here by bus and taxi are the same. For additional information about how to get around Rio de Janeiro and to access timetables, look at the website http://www.rioonibus.com/2016/01/07/segunda-etapa-de-racionalizacao-das-linhas-da-zona-sul/. The price of a bus journey is R$3.80 (Janeiro 2016). Remember to politely ask the driver to advise you when you are reaching your destination. When buying the ticket to Rio, please let us know your flight details and which mode of transport you have chosen to get to Rocinha.